Kids this young are tech savvy. So if you're looking for a gift they'll love, check our favorite tech toys for kids ages 4-8 this holiday season. Looking for more budget friendly options? Check out our Stocking Stuffers for Kids guide. 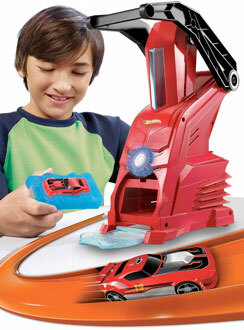 This simple device lets kids turn a stick of wax into a model car that really works. The machine uses light and sound to direct kids through the steps of melting the sticks, then molding and cooling the car body. The included decals and chassis snap to the body, and away you go. This car maker comes with two different molds, a pack of wax sticks and a sticker sheet. Extra car styles and additional color choices are available in inexpensive accessory packs. What’s better than letting your tween try on make-up, without having to scour it off her when she’s done? 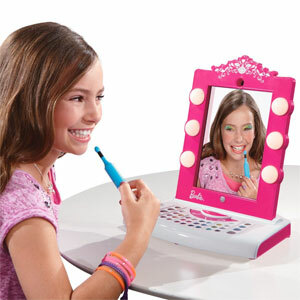 The Barbie Digital Makeover Mirror uses your iPad or iPad Mini as the mirror of the hot pink vanity frame, then pairs with an app to apply make-up. Of course, this is a virtual makeover, so kids can apply layer after layer of colorful, glittery eyeshadow, blush and lipstick, while facial recognition keeps her directly in the picture as she’s working on her face. Once done, she can snap a photo to save or share, and create a digital scrapbook of her favorite looks. No make-up remover needed. Girls love to build as much as boys do, and early exposure to science, technology, engineering and math (STEM) helps build confidence and spatial skills — especially in fun, hands-on play with toys like Roominate. Developed by female engineers who attended Caltech, MIT and Stanford, Roominate is designed to get more girls interested in engineering and create a new generation of innovators. Kids will enjoy building custom parts of a dollhouse with wire fans, pulleys, and lights that actually work. Roominate kits range from basic to deluxe, and each one can be taken apart and put back together. 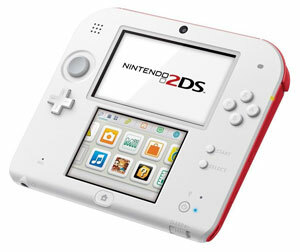 A number of different add-ons ensure customization. If you know someone who loves playing with robots, the RoboMe is sure to please. 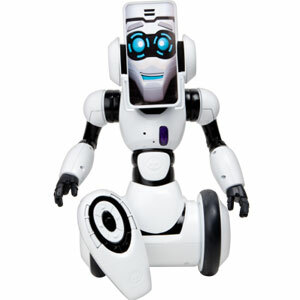 It’s a remote-controlled robot you can control using an iPhone or iPod touch. The mobile device doubles as the robot’s face. Kids use the iOS app to personalize and customize the avatar, assign sensor responses and even change its voice. RoboMe can play games and because it sits on wheels it can cruise through the house. It’s a great way to check on what’s for dinner – kids can see what RoboMe sees using a camera function on the device. This is the right gift for kids who like to customize and tinker with tech. If your children constantly clamor to snap photos with your smartphone or your digital camera, perhaps it’s time to get them their own. 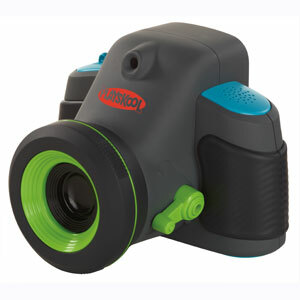 The durable Playskool Showcam lets toddlers point, click, store up to 1,000 images and show their photos to adoring relatives via a slideshow (thanks to the projection feature). Big buttons make it easy to use, while a large LCD screen on the back makes it easy to view photos and toggle between photo capture and projection modes. USB ports allow parents to upload and print photos. If you’re giving this as a gift, gently hint that it should be unwrapped first so your young recipient can capture the spirit of the holidays; be sure to include four AA batteries. Getting kids into playing the piano at a young age: good. Buying a piano and lessons, only to see your child to lose interest three months later: bad. The solution: iRig Keys. This mini MIDI keyboard is light, portable and not too expensive. Kids can play it alone or connect it to a Mac, PC, iPod touch, iPhone or iPad to record compositions and play engaging learning games. The 37-key layout gives kids a three-octave range that covers almost every song for beginning players. And as they grow into advanced virtuosos, kids can explore the configuration options for more sounds and wider range. 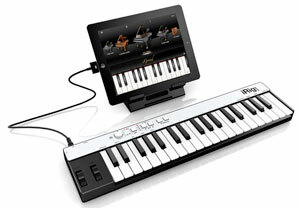 iRig Keys works with a number of apps that use MIDI input and comes with free apps for PC or Mac and iOS. The genius of littleBits is that kids learn electrical circuitry in a totally fun, intuitive way. Think Legos but with electricity. Modules snap together magnetically, including a variety of switches from dimmers and pulse modules to motion sensors. Action pieces includes lights, a fan and a vibration module. 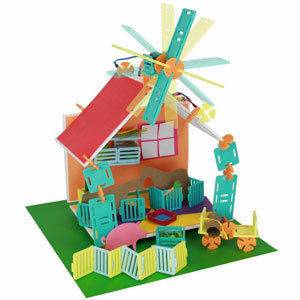 Kids create fun combinations of circuits on their own or make small machines using paper, cardboard and other household objects. 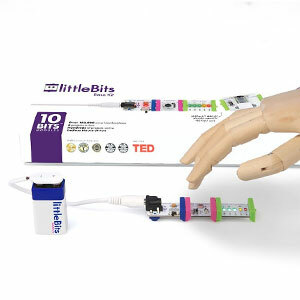 The littleBits user community lets builders share their creations on the site. For older kids, littleBits's amazing synthesizer kit let them make electronic music. Just ask your kids-there’s not much better than electronic, battling robots. So why not check out Tomy Battroborgs, a line of colorful motion-controlled fighting toys which allow kids to control their own battles using a remote control they hold in both hands. Alternating punches also sends your robot walking forward and you can turn it around by shaking the left controller up and down. It’s not rocket science, but wow is it fun. 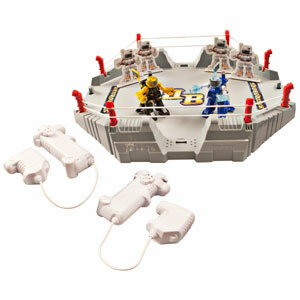 The 3-in-1 Battle Arena comes with two robots to begin your melee, or you can take your toy to school with battle boot camp and take on training drones to sharpen your skills. Remember Furby? It’s been about 15 years since Furby was the hot holiday toy and now Hasbro has bought it back for the digital generation. This time it comes with a free app (iOS or Android) so kids can personalize, care for and interact with Furby, which now comes in 6 fun, furry colors. Just like the old Tamagotchi pets, Furby needs food, love and monitor its progress via the dashboard. The app is loaded with games and content; your Furby can lay a virtual egg which hatches into a Furbling that you can also feed, care for and play with. 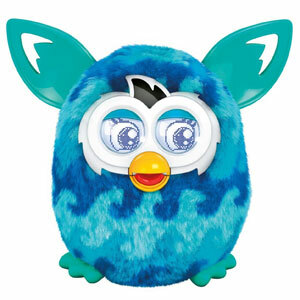 Furby is also a standalone toy with a moving beak, ears and eye animations that express its emotions. And yes, you can put it into sleep mode. This looks like a great gift for my nephew. However, when I went on Amazon to order it the price was $54. That is way too steep for my budget. Can I find it elsewhere at your $34.99 price or is this a typo? I’m wondering if the current set includes more wax and thus costs more. The whole Wink: Instantly Connected line is available at Best Buy and Home Depit. Porkfolio is an app-enabled piggy bank. It’s a great way to teach kids about saving money! 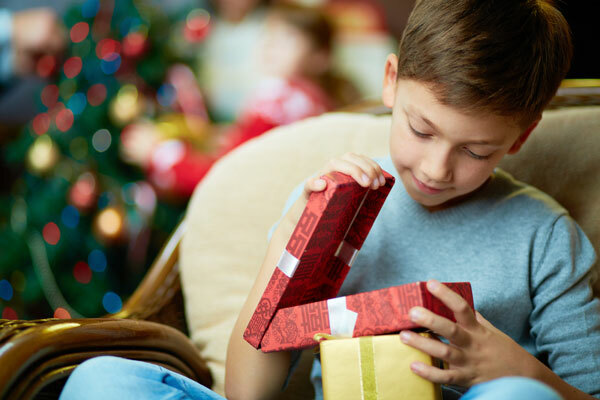 What a great list of gift ideas! Kids today have so many types of toys to choose from! I remember when I was a kid, we would play for years with the same toys until we got tired of them. I’m sure my 10 year old nephew will enjoy any of the toys found in this list.